Hello fellow music video lovers! It’s Andy Gesner and the staff from HIP Video Promo coming at ya with a fantastic new video that really hits us hard in our punk roots. The Phillips brothers – Brandon, Zach, and Adam – first came to national prominence in the Gadjits, one of the most notable and boisterous ska-punk bands of the Nineties. After that band ended, the brothers put the upstrokes away, and assembled Architects, a rock band every bit as raucous as the Gadjits and with twice the punk attitude. (And that’s saying something!) 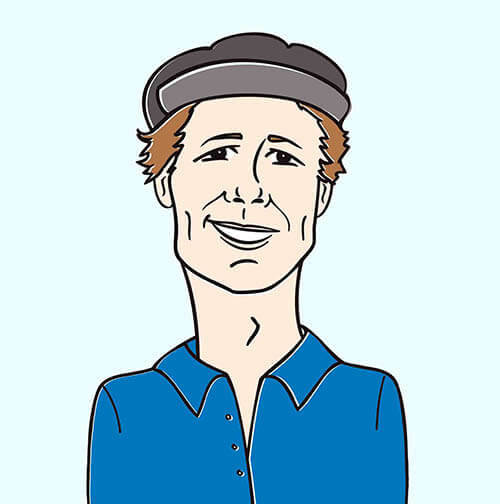 But while the songs are more straightforward punk-rock – the band’s MySpace page proudly cites their Springsteen influence – singer Brandon Phillips is as pissed-off, opinionated, and entertaining as ever. And his hoarse shout, edgy lyrics, and anthemic choruses are perfectly matched with the scrap-metal guitars and sledgehammer backbeat. Revenge, the band’s second album, sounds like a fistfight. These tracks teeter on the lip of chaos, but never entirely capsize – verses combust into choruses, choruses crash into guitar solos, melody smashes into melody, and Brandon Phillips’s outrage gives definition and purpose to every passionate excursion. The fervor of Architects is undeniable: this quartet (the three Phillipses and dynamite lead guitarist Mike Alexander) charges through the set with the conviction of rock and roll true believers. 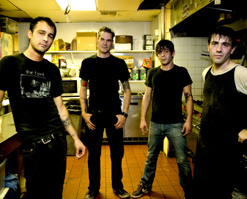 Revenge combines the politicized explosiveness of modern punk bands like Rancid, Bad Religion, and The Lawrence Arms with the no-frills immediacy of classic rock groups like AC/DC and Thin Lizzy. Few who know the band would argue that this is the finest record that the Phillips brothers have ever cut. As a lyricist, Brandon Phillips thrives on juxtapositions – he loves to be provocative and confrontational, and to use current events and contemporary controversies as metaphors. “Don’t Call It A Ghetto” is true combat rock: a furious screed aimed at those who dismiss his working-class Kansas City neighborhood as déclassé. The singer goes so far as to name-drop Hezbollah, and reaffirms his fearlessness and seriousness of purpose in a piledriver of a chorus. It’s all delivered in Phillips’s gravelly baritone – an instrument of great emotional range and surprising subtlety. Behind him, the band charges forward, all sandpaper-rough riffs and rapid-fire drum fills, a closed fist hurtling toward the listener. An Architects show is a cause for celebration in the Kansas City area, and they’ve earned a local reputation as four of the most direct, committed, and incendiary performers in the Midwest. The clip for “Don’t Call It A Ghetto” is strictly business, too: four guys with musical instruments in a warehouse, giving it everything they can. The camera follows the frontman, mostly, and well it should – he’s right up on the microphone, singing like he can change the minds of the snobs in his midst just by the relentless force of his passion. But the other Architects log plenty of screen-time, too. Shirtless, Zach hammers away at his bass, Adam appears to be ready to eject himself from his drum seat with every flurry of his sticks, and Mike Alexander glowers in the corner of the frame, snarling out licks. The energy is infectious, undeniable; it’s a portrait of rock and roll at is most primal, and heartfelt. Anodyne Records is at the head of the class of the Midwest music scene and we’re psyched to be working with them to bring you this stellar clip. They have also hooked us up with enough copies of Revenge, so don’t hesitate to be in touch to get your hands on them for on-air giveaways! If you need more info call Andy Gesner at 732-613-1779, or email HIPVideo@aol.com. You can also visit www.AnodyneRecords.com, or www.MySpace.com/ArchitectsKCMO to find out more about Architects.